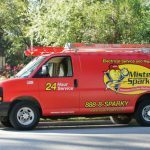 High-Quality Electrical Services for All Your Electrical Needs | Mister Sparky by Wise Electric Control Inc.
Do you need electrical services for your home or business, but you are having a hard time finding someone you can trust to do good work? Or, maybe you are considering doing the work yourself to save a little money? 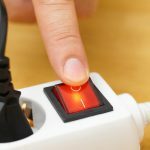 No matter what your needs are, it can be difficult to decide what to do to get all your electrical problems taken care of. The internet has made it very easy for people to look up how to do projects themselves. 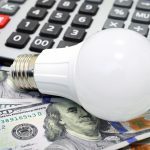 But, what the internet does not show you is that it can actually save you a lot of time and a lot of money to hire a licensed electrician to perform all electrical services. Electricians are trained to deal with many kinds of electrical problems. It will take them a fraction of the time it takes you to complete even the smallest of projects. Save yourself the stress and aggravation of spending your entire weekend figuring out how to rewire your ceiling fan and call a professional. A professional will also have all the right tools to complete the project. Chances are that if you tackle a project yourself, you will have to buy a few tools, which will end up increasing your cost. The cost of tools and parts can really add up. Not only that, but electricity can be dangerous to work with. Electricians have been trained to safely deal with electricity. They can finish the job safely without anyone getting injured. If you do electrical work yourself, you may not know the proper way to handle electricity and you could get hurt. At Mister Sparky by Wise Electric Control Inc., we offer high quality electrical services at affordable prices. We also offer a wide variety of electrical services and our electricians are highly qualified and experienced to do any job. Give us a call today and we will take good care of you! 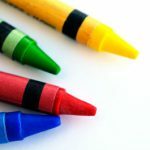 Fill Out Our Simple Contact Form for a Free Coloring Book! Take $50 Off Your Next Electrical Service Call With Our One-Time Use Coupon! Enjoy Our Low Rate On Your Next Service Call! 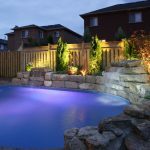 Open your swimming pool and dock area with confidence! The Next Time You Schedule an Appointment, We Won't Charge a Travel Fee! If you are looking for “an electrician near me in Charlotte, North Carolina,” you have come to the right place at Mister Sparky by Wise Electric Control Inc.! Mister Sparky by Wise Electric Control Inc.
North Carolina Towns: Charlotte, 28006 Alexis, Barium Springs, Belmont, Bessemer, Boiling Springs, Bostic, Caroleen, Casar, Cherryville, Cliffside, Concord, Cornelius, Cramerton, Crouse, Dallas, Davidson, Denver, Earl, Ellenboro, Fallston, Forest City, Gastonia, Grover, Harris, Harrisburg, Henrietta, High Shoals, Huntersville, Indian Trail, Iron Station, Kannapolis, Kings Mountain, Landis, Lattimore, Lawndale, Lincolnton, Lowell, McAdenville NC, Matthews, Monroe, Mooresboro, Mooresville, Mount Holly, Mount Mourne, Mount Ulla, Newell, Paw Creek, Pineville, Polkville, Shelby, Stanley, Troutman, Vale, Waco, Waxhaw, Hickory, Catawba, Claremont, Connellys Springs, Conover, Drexel, Statesville, Glen Alpine, Granite Falls, Hildebran, Hudson, Lenoir, Maiden, Newton, Icard, Rhodhiss, Rutherford College, Sherrills Ford, Morganton, Terrell, Statesville, Valdese, Nebo. 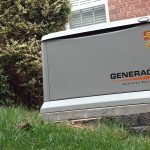 What Type of Generator is Best for Me?